Isn’t it horrid when you’re really tired but you just can’t fall asleep? The harder you try, the worse it gets. Poor Mr Bear is desperate to get to sleep. But the whole house is just so noisy! SNORE SNORE, goes Mrs Bear. TICK TOCK goes the clock. VROOM VROOM goes Baby Bear. (He’s pretending to be an aeroplane.) Repeat all those noisy sounds out loud in this snuggly family favourite. 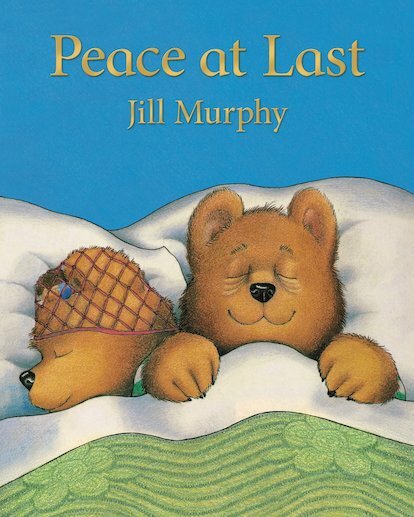 Will Mr Bear ever get some rest?